Elephant iphone case - Oh So Girly! 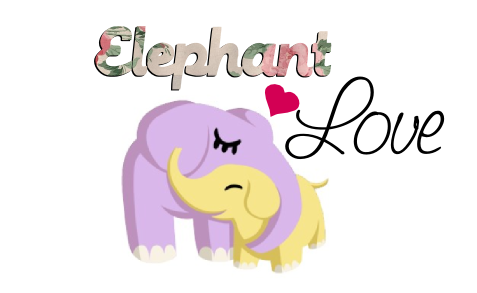 For me elephants have always symbolized a gentle, slow and steady, wise animal. If this is how a lot of people perceive them, perhaps it’s not surprising that quite a lot of people love elephants and elephant products. If this sounds like you, you might be interested in the girly elephant iphone case designs showcased in this article. Most of the elephant iphone cases in this article are for the iphone 5 model. If you like a certain case and would like it for a different iphone model, click on the image you like and enter the product name together with the model case you need in the search bar at the top of the page and hopefully there will be one for your specific needs! Most of the cases here are available from the website Zazzle which ships internationally. If you’re a regular reader of ohsogirly.com, you’ll remember the beautiful floral animal silhouette art by artist Jane Purcell that I wrote about a couple months ago. I recently found these pretty floral elephant designs by artist, Dushan Medich that are also floral animal silhouettes, yet of a different style that gives me a bit of a sixties feel! Very pretty! Graphic designer, Maaike Boot, has created these adorable, colorful elephant iphone cases. Continuing with the sixties feel that I was talking about earlier, the following patterned elephant design also transports me to that decade. I think it’s because it reminds me of flowery Indian patterns that were popular in the Hippy, Beatles era. The amount of detail on the elephant is *amazing*! Since I’m a big fan of all things cute, I really loved this super sweet elephant iphone case depicting two kawaii elephants in love! I love it!